Hotel Corallo enjoys a great position in the centre of Isola Rossa and facing the charming marina - a very popular hotel with couples and honeymooners. 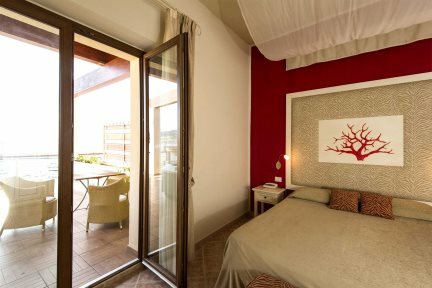 Hotel Corallo boasts an excellent position in the heart of the picturesque and laid-back village of Isola Rossa, on the north coast of Sardinia. Directly positioned by the sea and overlooking the marina, the hotel affords fantastic views across the Mediterranean as well as fabulous sunsets – the perfect choice for romantic breaks and honeymoons! There are a few bars, restaurants and a couple of sandy beaches just steps away; and for those looking to explore the north of the island, Castelsardo, Santa Teresa Gallura and the charming town of Tempio-Pausania can be easily reached by car. Hotel Corallo is renowned for its intimate ambience, personalised service and genuine hospitality. 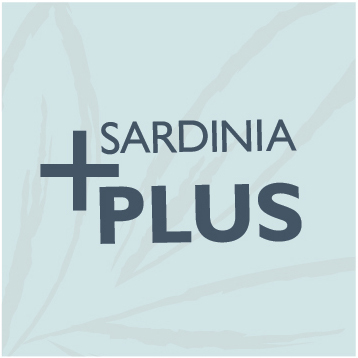 Recently refurbished to a high standard, it provides all the comforts and amenities you would expect from a 4★ hotel in Sardinia – including a freshwater swimming pool surrounded by ample sunloungers and umbrellas and a bar with a large sun terrace. Freshwater pool (12m x 6m), free sunbeds and umbrellas, beach towels available at a supplement, bar, wine cellar with wine tasting experience once a week, Wi-Fi (in reception area). En-suite facilities, satellite television, minibar, hairdryer, air-conditioning, balcony, some rooms have deck chairs and sunloungers as well as private outdoor Jacuzzi (supplements apply). 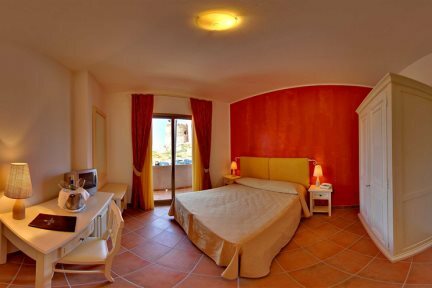 Decorated with warm Mediterranean colours, Comfort rooms all have a small balcony with views towards the Spanish tower. Elegant rooms furnished in a contemporary style, all located on a higher floor with access to a private balcony and views across the bay. Appointed with a “coral” theme in mind, they all boast a large terrace and stunning vistas. Very popular with couples and honeymooners, all with a sitting area, a large terrace and a private Jacuzzi pool. 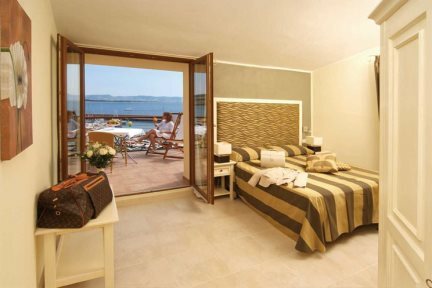 The most prestigious room with 2 separate bedrooms, a large bathroom and a huge terrace with its own private Jacuzzi.